Walter Eekhaut (his name rhymes with "stakeout"), a veteran of the Belgian police force who has a problem with authority, is dispatched to Amsterdam to aid the Dutch security service in investigating the activities of a well-connected Russian oligarch, with connections to Putin. Some of the Russian's business is certainly legitimate, but some may well not be. In Amsterdam, Eekhaut is seconded to Chief Superintendent Alexandra Dewaal and her team, and begins to learn about the city's shady underside. He is at once pulled into another case, the murder of a young leftist dissident, alleged to have stolen a sensitive list from the Amsterdam offices of an ultra-right-wing political partya list with the name of secret donors. The hunt for the killer leads to a knot of black money interests and illegal dealings that pit the Russian mob and Dutch politicians and business leaders against the police and anyone else who tries to get in their way. 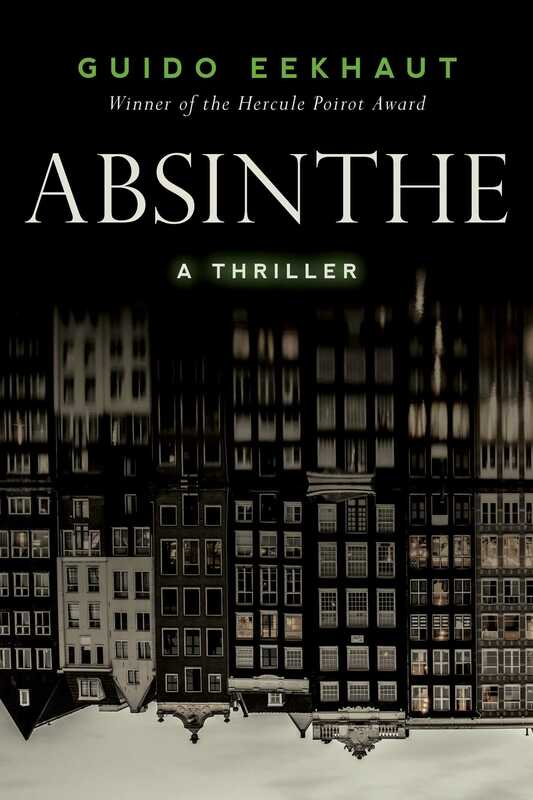 Absinthe is the gripping first installment in the bestselling Amsterdam trilogy featuring Eekhaut and Dewaal and, for North American readers, a new voice in European noir. Guido Eekhaut has won the Hercule Poirot Award and has been shortlisted twice for the Golden Noose Award for his crime fiction. A former journalist and innovation coordinator for a large international bank, he is a prolific writer and futurist, with more than forty books to his credit. His works have been published in eight languages. He now divides his time mostly between Belgium and Spain. "Tense, up-to-date Euro-political intrigue, topped off with that rarest of gems: a satisfying finale. "Three-time Emmy-award winning writer Jim Houghton. "The genre doesn't get any better than this. Absinthe is intoxicating. "John Enright, author of the Jungle Beat Mystery series. "This book could not be more timely. A riveting read in which the Russians support ultra-right-wing politicians and undermine democracymuch more fun than the newspapers and no less scary. Most enjoyable. "Theodore Riccardi, Professor Emeritus, Columbia University, and the author of The Oriental Casebook of Sherlock Holmes. "In Absinthe, Guido Eekhaut has masterfully produced a gripping political thriller. Readers could not ask for more: a clever, if slightly tarnished, detective; shadowy assassins; shady Russian financiers; and a controversial missing list of names. And all set in Amsterdam in all of its glory and darkness. It adds up to a mystery tour-de-force that is impossible to put down once you dive in. "Allan Levine, award-winning author of the Sam Klein series. "In his latest novel . . . Guido Eekhaut writes about today's clear and present danger facing Western democracies emanating from the mixture of dirty politicians and organized crime. This is a work of fiction but all too realistic. Indeed the new threats to Western democracies no longer comes from ICBMs but rather from crooked bankers and business men in fancy suits. The West may have won the Cold War but the threats are finding their way into the very temples of capitalism, the banks. "Claude Salhani, author of Inauguration Day. "A subtle, engaging and very timely thriller.”Michael Marshall Smith, author of The Intruders .